The other day I picked up a “Where’s Waldo” book (the discovery books from the 80’s and 90’s). I used to love gazing at the intricate drawings, trying to find the little striped-shirt kid. Slate.com took the time to research and publish a strategy to find him at least 50% of the time — you simply look in two 1.5” areas and presto, half the time, you’ll see the little dude. He is also rarely located at the top and bottom of the page or near the outside edges. These tips help! Those cluttered illustrations could represent the intensely saturated marketing world we live in. Messages push us from all sides. We get hit by about 5000 marketing messages every day (in an average 16-hour day, that requires an attention decision every 11.5 seconds). When your church tries to scream a message into that pandemonium, it feels so obvious to you that it’ll break through. But it doesn’t. Much like looking for the striped kid with the obvious stocking cap, but even when you know what he looks like, it’s almost impossible. 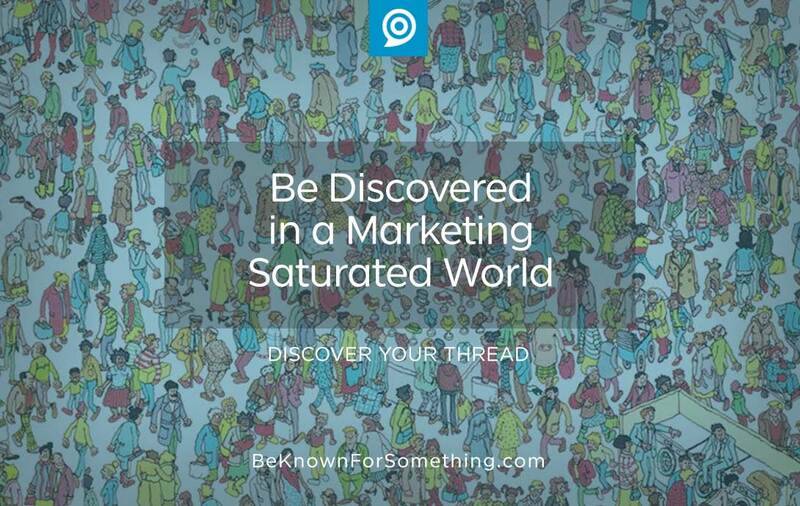 How can a church stand out in this marketing saturated world? Talk specifically to a segmented audience. People respond to communications that say their name, job, feelings, position. It’s like having your child say your name across a crowded room — you look up. The Challenge: Knowing what groups you talk to best and developing Personas (that fully represent your church membership) so you can talk directly to them. Say something unusual. Boring gets passed over. We’ve all been watching TV, half-way paying attention during a commercial break, and an unusual commercial gets you to look up. The church has to figure out how to get noticed. Jesus would say things that grabbed the crowd’s attention. The Challenge: Being creative without being contrived. It’s also difficult to be creative and different every time — be careful not to fall into the trap of out-doing yourself to the point of unbelievability. Be effective with keywords. Imagine if you could assign every small item in Where’s Waldo with a keyword: i.e. bread, light, house, black shoe, etc. Then for that special cap, you assign a keyword “striped cap”. Afterwards, you simply “search” for a “striped cap” and something points directly at what you’re looking for. That’s the power of keywords. Assign and use keywords that your personas are looking for in Google. 90% of all website visits are from search engines. The Challenge: Discovering what each persona will search for. Start with problems, concerns, and goals; and their solutions and paths towards them. Will you get everyone’s attention? Nope. Just try to increase your discoverability. Keep note of successes and failures from your open rates and page clicks. The more you try, the better you’ll become. It’ll take time, but you’ll start to enjoy the journey! Just like I enjoy looking for Waldo.